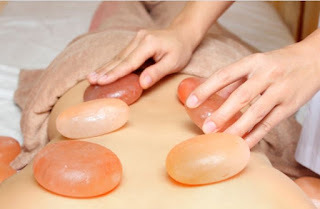 We make use of warm Himalayan salt stones and Swedish massage techniques to apply pressure. During the course of the treatment, all minerals are absorbed through the skin which gives a profound sense of well-being. Electronic devices such as phones and computers can disrupt natural energy flow within the body. But with our Salt Stone Massage, you can zero out your body’s electromagnetic field. The stone’s neutral structure and natural resonant frequency help to realign energy pathways and restore balance to the central nervous system.